Mahjong Bakuhatsu Junjouden © 1991 Nichibutsu. Mahjong with the opportunity to purchase timely bonus items during a match. Girls also included. 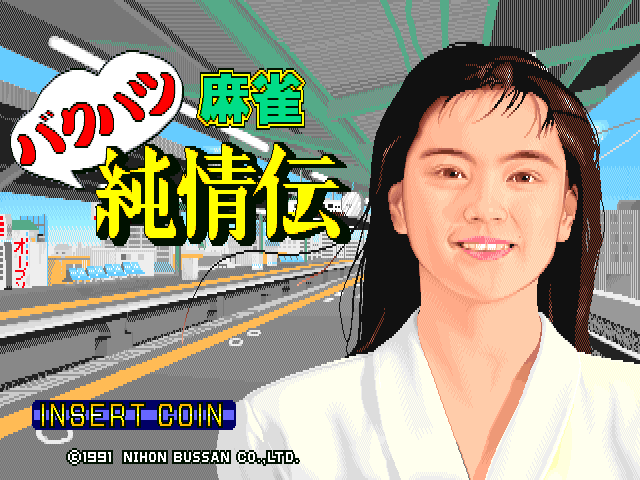 Mahjong Bakuhatsu Junjouden was released in October 1991 in Japan. The title of this game translates from Japanese as 'Mahjong Explosion Pure Heart Report'. This game is also known as "Mahjong Gottsu ee, Kanji! ".